Cutlery firms today certainly don’t make knives like they did here in the United States from the 1840s up until the Depression, but in some cases “they” make them better today due to advanced manufacturing processes such as laser cutting blades, better heat treatment of steels, new types of CPM tool steels and modern stainless tool steels such as 154CM. But with that said, there’s no doubt that traditional pocketknife companies such as Holley, Empire, Southington, Napanoch, New York Knife Company, Schatt & Morgan, Beaver Falls, Ulster, Humason & Beckley, etc. 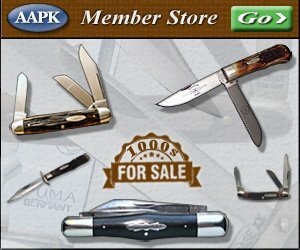 made traditional folding knives that lived up to most anyone’s definition, then or now, of quality. “Back in the old days, if there was a swedge on a knife, it was there for a reason,” said traditional custom knifemaker Tony Bose. “Everything they did was for a reason, but as time passed they started cutting corners by grinding the blades a little shorter and not doing the swedges. Some companies were still doing bold swedges up into the ’40s, but after that they were mostly little draw swedges on there or a knockoff corner. Bose is fond of saying he doesn’t design knives, he brings them back from the grave. On that note, Bose has copied many of the more notable pocketknives from the Golden Age of cutlery here in the U.S. as well as their features including; swedges, crinking, pinned shields, long pulls, bone jigging, fluted bolsters and extended springs. Other examples of Bose borrowing from the past include his gardener’s knife, which was based on an IXL knife from an 1885 catalog reprint, Remington’s 1123, which was resurrected as Bose’s 4 inch and 4.5-inch backpocket knife, and a coffin jack based on an IXL knife he owns. Bose said he’s also a big fan of Remington Bullet knives, including the Hunter-Trader Trapper patterns that were made just in 1930 as part of a subscription to “Hunter-Trader Trapper” magazine. Last year’s Case/Bose collaboration, the Arkansas Hunter, was made by Empire while this year’s Norfolk collaboration was based on a knife from Joseph Rodgers. Bose has also made Ka Bar Dog’s Head knives, which includes the same feathered jigging that made the Ka Bar knives so distinctive. While Boker, Keen Kutter and other companies made lockback whittlers, Bose patterned his after another company. As much as Bose’s knives resemble the old patterns, it’s not an apples-to-apples comparison, according to Pete Cohan, the curator of the National Knife Museum. While the definition of quality can take on various flavors, overall fit and finish was where most of the early cutlery companies in the United State excelled, and this was mainly due to cutlers from Sheffield, and to a lesser degree, Solingen, coming here to work in or start cutlery firms. Cohan said it’s also a misnomer to attribute the fall of some of those early, high-quality cutlery companies to just the Depression or mechanization. The perfect storm began brewing in the late 1800s when the Sheffield companies started losing cutlers to the American firms while they weren’t being replaced in England. According to “Levine’s Guide to Knives and Their Values,” fourth edition, the Tariff Acts of 1890, 1897, and 1901 literally dried up the export market here, which forced Sheffield and Solingen companies to send their cutlers across Atlantic for employment in the U.S. The early cutlery companies mentioned previously all had their various brilliant arcs across the sky before eventually flaming out and closing their doors at various times after the turn of the century. Cohan said another factor was that the value of high quality knives became less important to the buying public in the United States, which was certainly driven home during the Depression. “While there were many people who appreciated a fine quality knife there were increasing generations of people who didn’t have the same view on quality knives,” he said. “They would actually be defined as being unable to differentiate strongly between an average or above average knife and a good, very fine piece. As this country begin to grow, they weren’t looking for, except for a limited, elite group, high quality knives. They were looking for something they could buy at a very low cost that did the job. As the old school cutlers died off, cutlery companies turned to mechanization to build their knives. Starting around 1919, Remington was able to draw upon a pool of employees that included gunsmiths and tool and die employee in order to build its own machines to make folding pocketknives. Not only could Remington out-produce the companies that were still hanging on with what was left of the highly skilled cutlers, it also started competing against regional cutlery companies that weren’t used to seeing competition in their backyards. For many of the regional companies, the competition was too keen. “The Depression was the downfall for a lot of these companies, some were felled before then, but once Remington started producing a phenomenal number of knives a month and started selling them all over the U.S. these other companies couldn’t keep up in markets that they once exclusively owned,” Cohan said. According to “Levine’s Guide,” Remington had 907 patterns in its catalog by 1925, but it fell upon hard times later in the Depression before DuPont bought it in 1933. While the dust has long since settled on the Golden Age of pocketknives, some of the cutlery traditions are still carried on by custom makers like Tony Bose and companies that choose to make quality knives by giving them that extra fit and finish at the end, which often still entails hand operations. “A traditional pocketknife, you’re not going to improve on it,” Bose said. “They have a certain look to them, whether it’s a square bolster stockman or a saddlehorn. They have a look about them and if you deviate from that look then it’s not a traditional pocketknife anymore; it’s your take on a traditional pocketknife. They made them that way because they worked, and they still do.